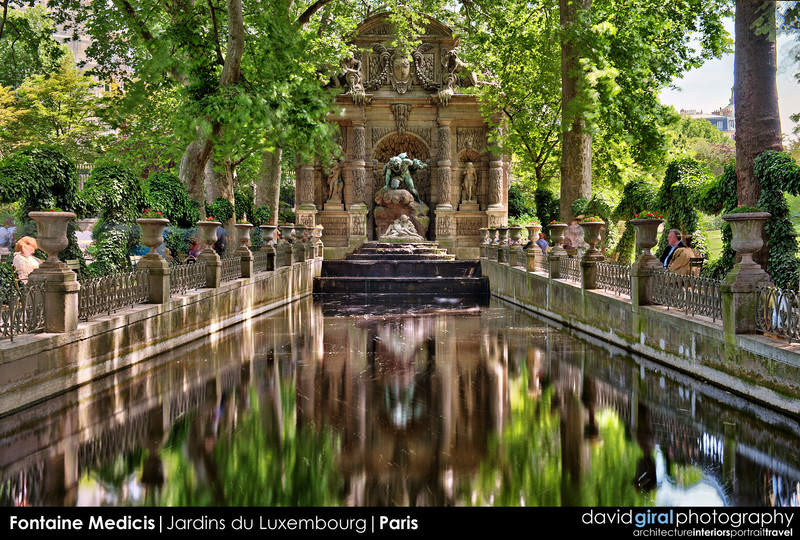 A hidden gem located in the Luxembourg gardens in Paris, the unique perspective of the Medicis Fountain makes for a perfect facebook cover picture of the week. This landmark, previously known as the Luxembourg grotto, the Medicis Fountain was ordered by Marie de Medicis, widow of Henri IV around 1630 to engineer Thomas Francine. Since then, the fountain was displaced and Alphonse de Gisors created this water alley of more than 50m. To capture this scene, A Nikon D700 was used along with a Nikkor AF-S 24-70mm f/2.8 G ED at 42mm. A circular polarizer was used to cut reflections on the water. 9 exposures ranging from 1/20s to 25s were blended together in Oloneo PhotoEngine HDR and then additional adjustments were performed in Adobe Photoshop CS5. You are the Greatest artist making great shots! Every time when I’m looking at your pics I try to understand those mysterious power… And I can’t! Beautiful!!! Appreciate you posting this. Planning a trip there soon so would be most obliged if you have any special recommendations. Also, how is taking photos at night. Any safety concerns to consider. Thanks again. well, Paris is rather safe compared to Rome, but make sure you keep your things attended at all times. For better night pictures, I would suggest shooting 30 min after sunset. Please share those pics with us when you get back.